With the lovely Priscilla Halburton-Smythe away in London, Lochdubh Constable Hamish Macbeth pines for company during the long Scottish winter. He gets his wish -- and more -- when a troupe of flashy, urbane filmmakers clamors into the nearby town of Drim. Before long bedlam erupts around their make-believe mystery ...and culminates in the sudden appearance of one very real corpse. The initial suspect in the killing is one Patricia Martyn-Broyd, the aging mystery writer furious that her musty old cozies are getting a risque face-lift in their TV reincarnation. Yet, going behind the scenes, Hamish soon finds a town full of locals bitten by the movie bug and a cast of quarreling show business types, all harboring their own secrets, lies, and hidden agendas. 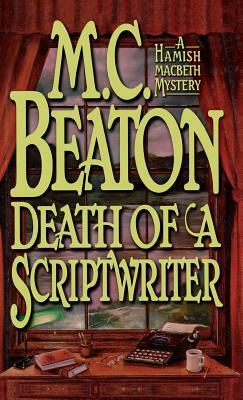 And as the culprit strikes again, Hamish must quickly find the right killer -- or script the wrong finale to a show gone murderously awry.